ORICO Home 2 Outlet Surge Protector Power Strip with 4 USB Charging Port For iPhone 6s / 6 / 6 plus, iPad Air 2 / mini 3, Samsung Galaxy S6 / S6 Edge / Note 5, HTC M9, Nexus and More - Black - NWCA Inc.
With the development of society,we have more and more power demand.Voltage fluctuations, surges and spikes can damage your computer and peripherals and degrade overall performance.ORICO OPC-2A4U Advanced Surge Protector is a simple surge protector that fits into a grounded outlet. 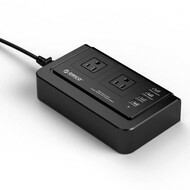 It offers economical surge protection for PCs, peripheral devices and all electronics. 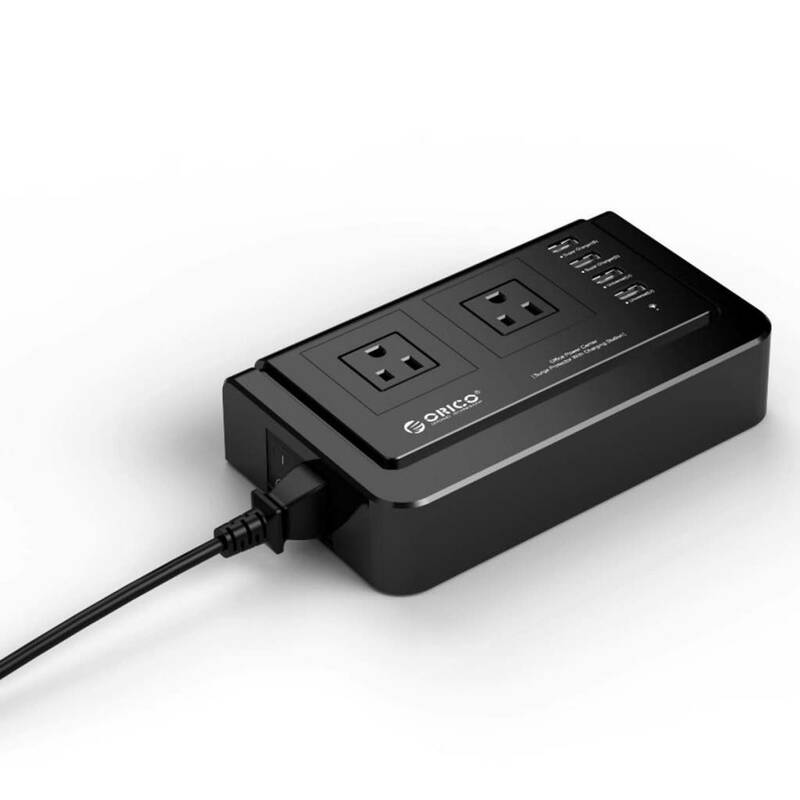 It provides 2 AC outlets and 4 USB Charger Port, including one outlet that accommodates a bulky transformer without blocking other outlets. 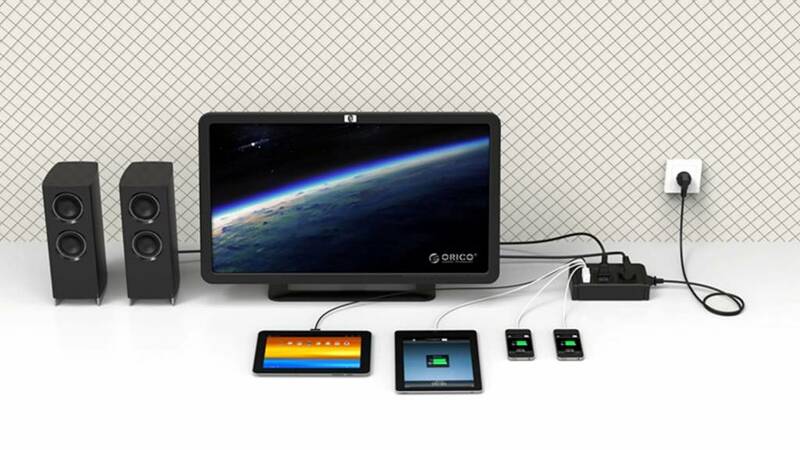 A 4.9-ft. cord enables connection to a distant wall outlet,offering valuable surge protection for your electronics. Addition 2x 5V 2.4A Smart Super Charging Port based on Smart USB Charging Controller will Detect Attached Devices and Self-Adjusted to Right Status,Avoid any Compatibility Issue and Supply Reliable Power for any High Power Required iPad,Tablets or Cell Phones.2x 5V 1A Universal charging port make the soild power for Iphone and the other Android devices.